Small USA manufacturer competes against Giants! LITCHFIELD, Conn., Sept. 19, 2018 /PRNewswire/ -- Litchfield International, the manufacturer of Hangerlok, a thermoplastic cable and infrastructure hanger system for cable systems, enjoys a history of use in the transit industry in the USA. Today's transit industry is measured in tens of billions of dollars annually. Most major cities are expanding their transit systems to move the growing population around congested reducing traffic congestion and carbon emissions. Based in Litchfield CT, Litchfield International has been serving the engineering and construction markets since 1984. Hangerlok was developed by Litchfield in 2007 as its core domestic product line. All its accessory parts are made by local machine shops in Litchfield county. Hangerlok is made from a highly durable and chemically safe polymer of plastic that conforms with transit industry standards. The transit industry demands all products to be made in America. Design and municipal engineers demand certifications and extensive testing. Litchfield responds with UL approvals, safety standard testing, dynamic loading tests plus its proprietary internal stress testing. A significant component in tunnels and subway systems is the support of radiating cabling systems. This specialty cable is used to collectively alert first responders to a potential or actual emergency within the facility. Aside from moving people in a system, is the concern of human health and safety. How Hangerlok is made: Each size is injection molded in a local plant in Torrington CT. Rigid ISO and UL standards are in place to ensure quality control and compliance. 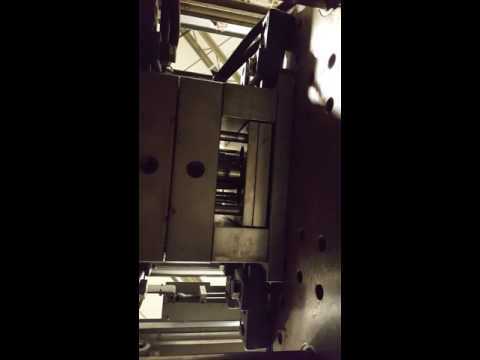 Watch the process of the making of our molds. "I am proud to be a USA made in America manufacturing company partner. My company started as an importer in 1984 and now makes 100 % of our product line here in CT. I strongly believe we are doing the right thing by supporting this country's growing movement in domestic manufacturing." "Trilogy is a USA based leading manufacturer of low loss radiating and non-radiating coaxial cables for communications systems primarily used in the transit industry in North America. Our cable must be suspended by hanger systems that are noninductive and thermoplastic, as well as manufactured in the USA. Trilogy relies on the Hangerlok system as part of our product offering to fulfill our cable installations in these highly regulated projects and environments. Trilogy has worked with Litchfield International over twenty years." Will Bodnar, VP Product Management, Trilogy Communications, Pearl MS.